It’s April and thanks to the BC Construction Association, it’s officially Construction Month 2019. 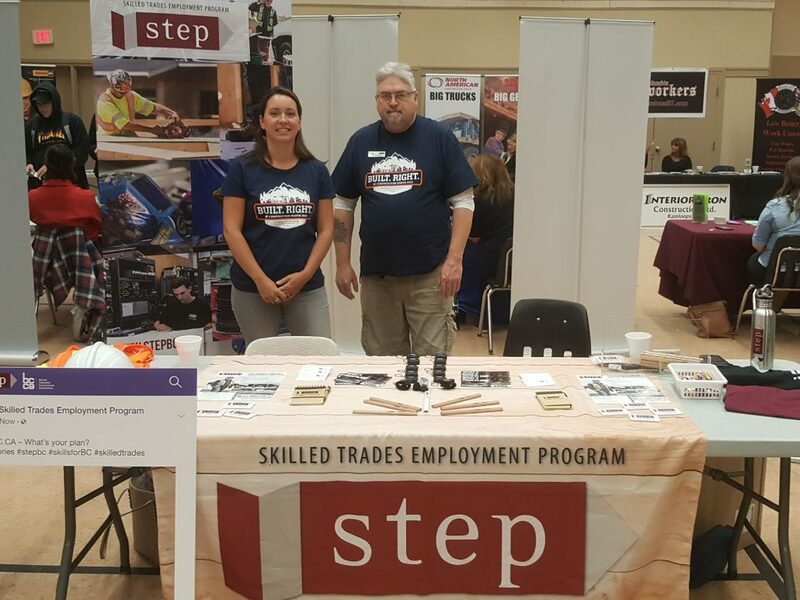 The Skilled Trades Employment Program (STEP) is celebrating with industry, training institutions, and more! See us out in the community? We may have a t-shirt for you! Come say hi and chat skilled trades with us. Other ways to participate: Are you in the industry? 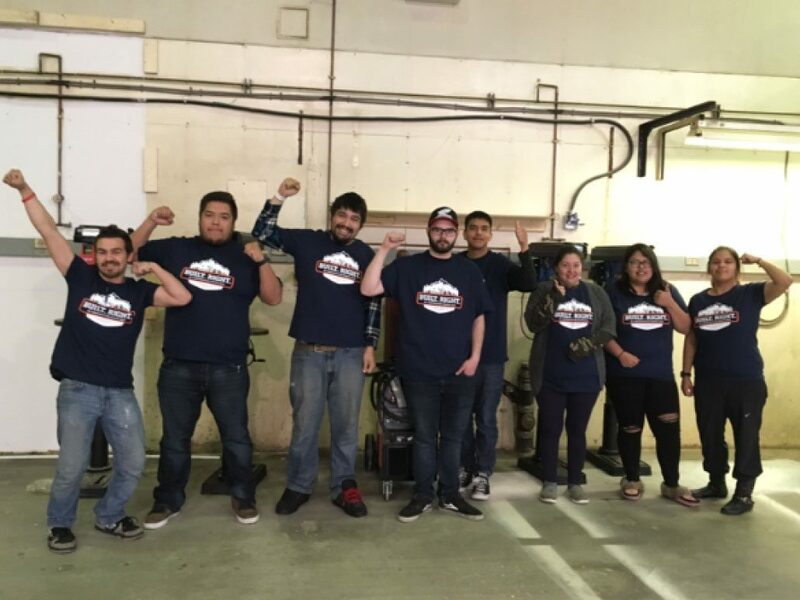 Take your own picture on site and show your pride in the trades! 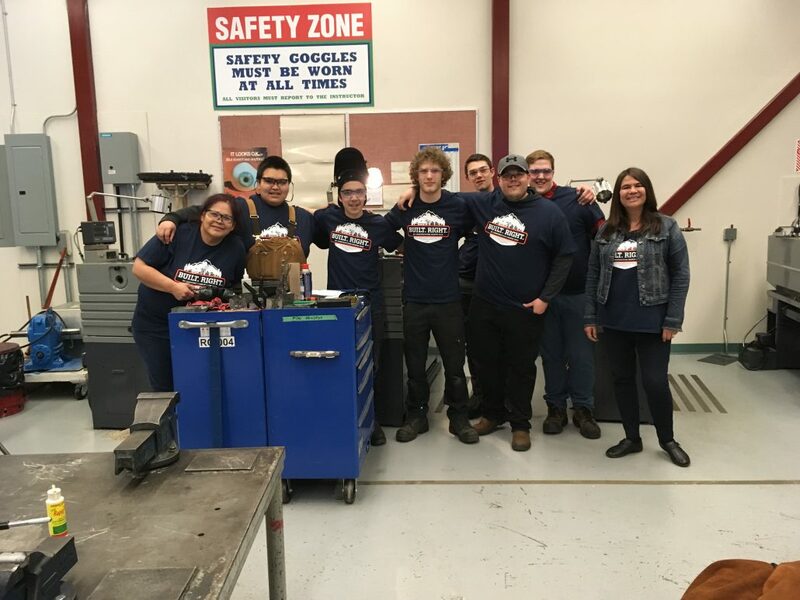 REPS Isabel with welders in UFV Chilliwack foundation program. 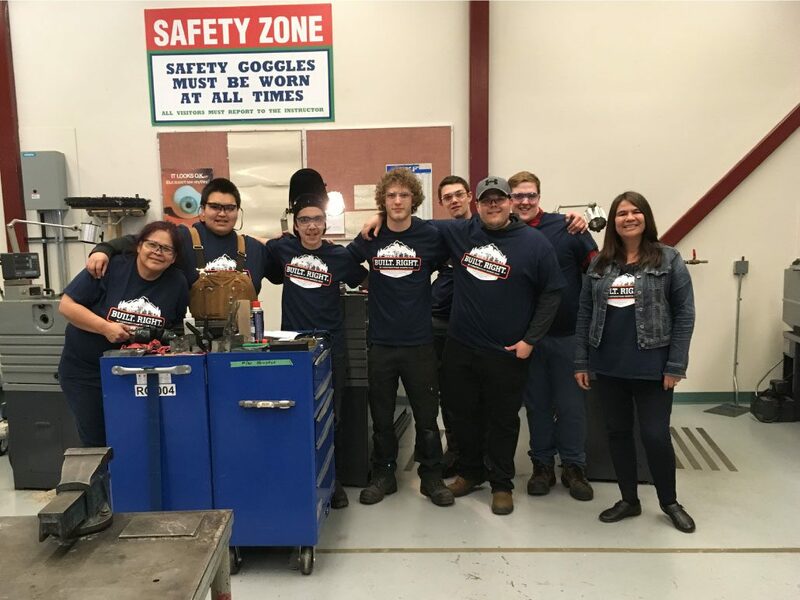 REPS Veronica with Millwright Foundation-Harmonized class in Prince Rupert via Coast Mountain College. REPS Joelle and Norm at the Citxw Nlaka’pamux Assembly Career Fair on April 5, 2019. 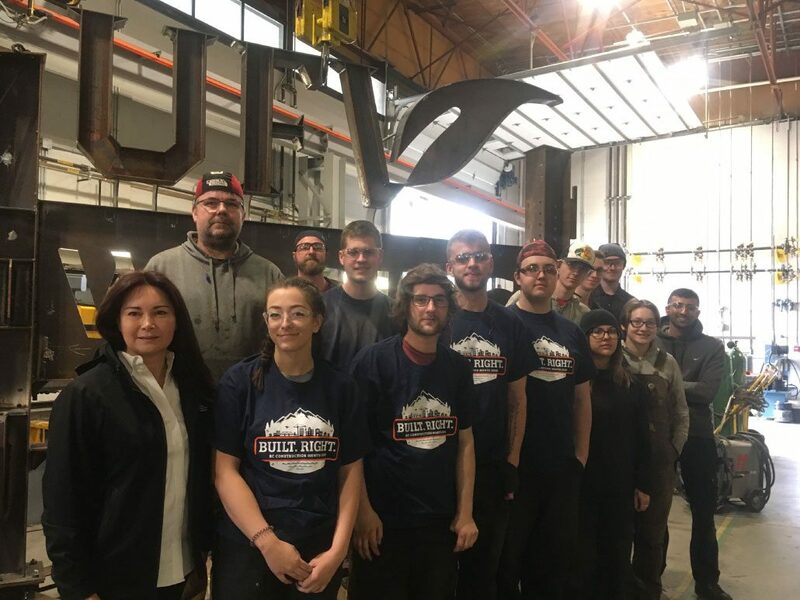 REPS Veronica took a picture of Coast Mountain College’s Heavy Mechanical Foundation class in Prince Rupert. 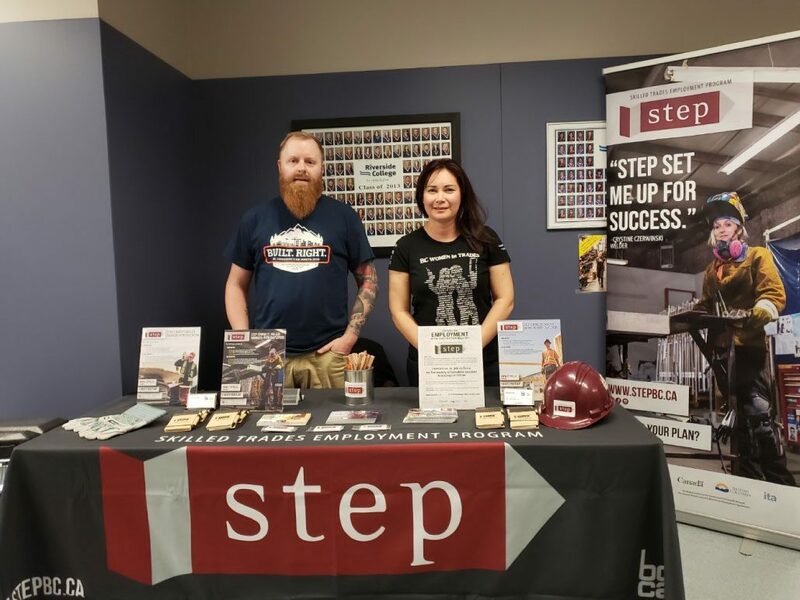 REPS Doug and Isabel at the Riverside College Open House in Mission on April 10, 2019.